What a great read. A fairy tale fantasy with a twist; where everything gets turned on its head. Sophie and her friend Agatha are like chalk and cheese, but which way round are they. 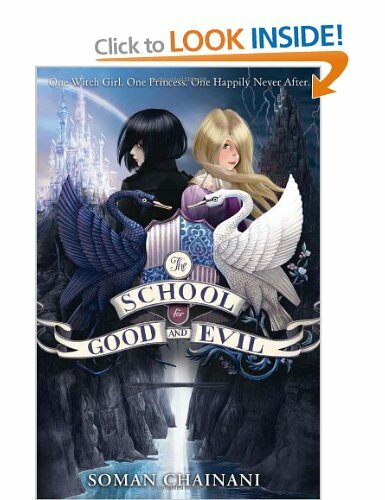 Both are kidnapped and taken to the school for Good and Evil, where they will be trained to be fairy tale heroes or villains. But then they are not sent to the section they each expect, Agatha is sent to the school for good, whilst Sophie finds herself being taught to be evil. This is a really atmospheric book, full of twists and turns that make us question the whole way that we label people and base our expectations on a how they look. It is also about friendship and being strong enough to follow your own wishes. This is the first part of a series, so I am looking forward to following the girls through their next set of adventures. Great for the 8+ age group. The long awaited new offering from Jonathan Stroud does not fail to deliver. Set in a world where the dead refuse to remain so, and where Psychic Investigation Agencies exist to get rid of these ghosts, this is a great balance between horror and adventure. 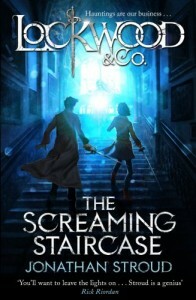 The heroine, Lucy Carlyle , is able to see the ghosts and has trained to eliminate those she finds. 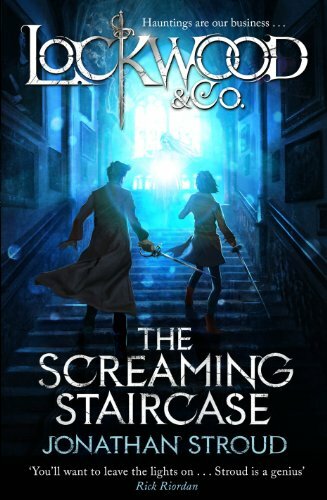 By circumstance she links up with Anthony Lockwood and his very small company of ghost hunters and finds herself involved in more danger than she ever imagined. A really brilliant new series that will have the audience coming back for more. The characters are humorous, frustrating, but very likeable; so we are always on their side even when we are shouting that they are doing the wrong thing. Definitely a series to keep reading and even re-read, not something I do very often. Ana Maria is part of what had always been a loving family, but suddenly her parents are always arguing and the future is beginning to look very strained. Then everything falls apart when Ana’s family are killed in a car accident on the way to collect her. This so far, has all the makings of a novel on dealing with loss etc., but then the author takes us down a different route. Ana is confronted by a man called Grim (yes, Reaper is his other name), but who likes to be called Ernest. Ernest offers her a deal; he will give back the souls (i.e. lives) of her family if she will become his apprentice in collecting the souls of those who die. This is the start of an original and exciting book which actually makes you care about the characters. It leads the reader to other worlds linked to ours and villains who want to take over. The writing is not pretentious and the various elements of the plot interweave in a way that takes the reader along for the ride. This is a book that you want to keep on reading and begrudge having to leave for any length of time. Great for the holidays or a long journey. The illustrations by Chris Riddell are a perfect complement and contain his usual subversive humour, even down to the father looking remarkably like Neil Gaiman. It is great to find such an original piece of work for this age group, rather than the formulaic series that are often offered to them. It should be in every school library. I loved this book.